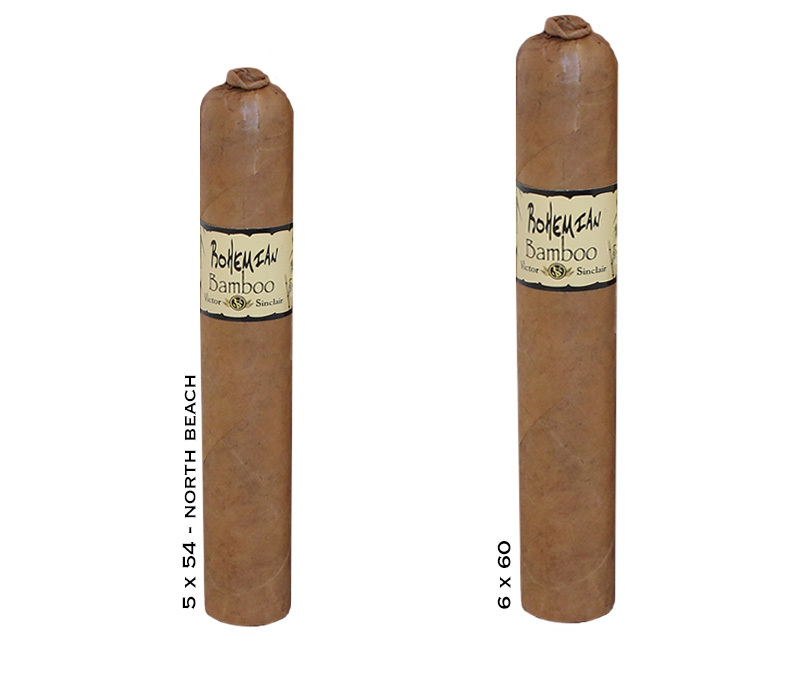 Bohemian Bamboo Cigars - Buy Premium Cigars Online From 2 Guys Cigars . Bohemian Bamboo comes from Victor Sinclair in the Dominican Repiblic. The cigar features a silky-smooth Connecticut shade wrapper that has been hand selected. The cigar is rounded out with a mild blend of well aged Dominican long-filler tobaccos. This artistic cigar features a beautifully crafted pig-tail cap. Once the cigar is lit there are notes of cedar and coffee with a buttery smooth richness.